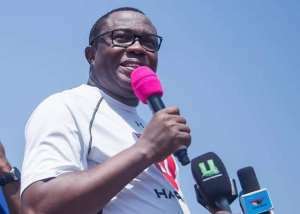 The National Democratic Congress (NDC) seems to have finally found trust in the operations of the National Identification Authority (NIA), asking its members to register for the Ghana Card. The Ghana Card is the new National Identification Card. NDC had on July 23, 2018, ordered its members not to sign up for the Ghana Card until its demand for the inclusion of the Voters’ ID card as one of the requirements for registration was met. NIA had argued back then that the voters’ ID cards were not valid for acquiring the Ghana Card but the NDC through its General Secretary, Johnson Asiedu Nketiah, insisted that without the inclusion of the voters’ Card, its members would not register. Interestingly, even though the NIA held onto its stance, the NDC has made a U-turn, urging its members to now register. The decision, DGN Online understands, was taken at the NDC’s National Executive Committee (NEC’s) recent meeting. It remains unclear what has changed that the NDC has chosen to rescind its decision of nonregistration which was highly criticized.